The 2018 tri-clubhouse Chef It Up! and Culinary Kings cooking competitions have revealed a new champion: Harriman Clubhouse in both categories! Gerry Clubhouse had been the undefeated champs of the teen Chef It Up! cooking competitions for a few years now, but this year Harriman Clubhousetook home the trophy! 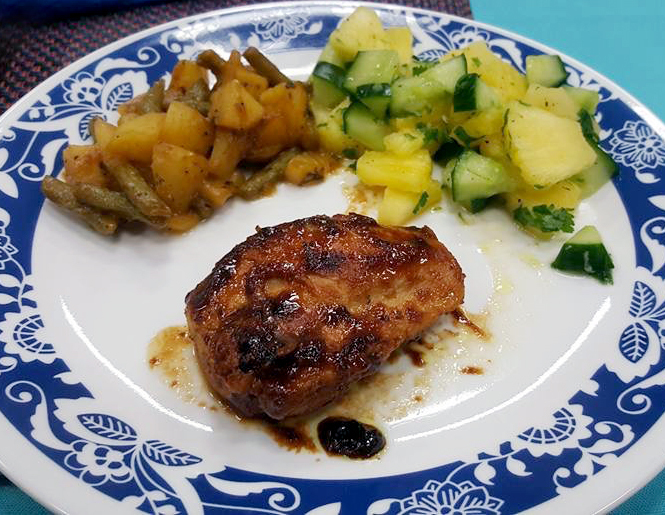 Their winning dish was Chicken Adobo with Pineapple Cucumber Salad. Gerry Clubhouse came in second place with only a two point difference between the 1st and 2nd place teams, serving Crab Fried Rice and String Beans. Abbe Clubhouse came in third with their dish: Abbe’s Down Home Beef Stew with Yellow Rice. Harriman Clubhouse also won the Culinary Kings Cooking Competition. The junior members won with their Chicken Teriyaki Pineapple Bowls. Abbe Clubhouse came in 2nd place with their Zesty Chicken Piccata over fresh pappardelle with sautéed asparagus and the former champions, Gerry Clubhouse, came in third place with The Gerry Chicken Delight.